15 Best Sites To Buy A Mattress Online - Check Them Out Right Now! If like me you've ever been overwhelmed by a zillion options during your mattress-hunt, it's alright. With each brand offering something unique and eye-catching, deciding the best online mattress site isn't easy. The online mattress business is growing exponentially. New companies are increasingly making their place in the market. The new brands are coming out with innovative ideas on how to improve the sleep quality. Competition is high. 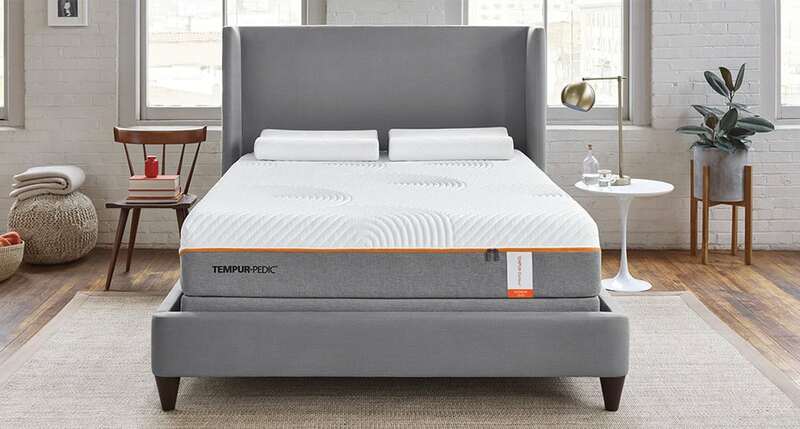 During the last few years, popular online mattress brands such as Tempur-Pedic, Stearns & Foster, Serta, and Beautyrest have been dominating the $15 billion US mattress industry. Nevertheless, relatively new mattress manufacturing brands such as Casper, Tuft & Needle, Purple, Leesa, and Saatva are expected to join the race. Thus, with every brand claiming excellence, it's hard to narrow down where to buy a mattress online. Mattress shopping used to be a tedious and time-consuming task. Traveling to brick-and-mortar stores, spending hours searching for a proper mattress, loading and then unloading the purchase… the list goes on and on. But not anymore! I experienced this struggle firsthand when I purchased a mattress for my new apartment. At first, I opted for retail shopping; I tried at least ten department stores before throwing in the towel. My friend suggested I take a chance and purchase a mattress online. From that point forward, the process became overall more convenient. I saved both, time and money. I have been a proponent of online mattress shopping ever since, and I recommend this method to all my friends and family. Now, all of the mattress options are available at your fingertips. Why go to a department store when you can find the best mattress online and more at the click of a button? Due to direct-to-consumer success, several big brick and mortar brands are looking into improving their mattress sales strategies. You Can Find A Wide Range Of Options: Online mattress companies list their mattress construction, materials, and features on their websites. You have access to the entire price and size range. Some of the brands make the process even simpler through mattress comparison tools and charts to aid your decision making. You Can Enjoy a Convenient Shopping Experience: Online mattress shopping saves you both time and money. Once you find your dream mattress with all the features that you desire, the rest is hassle-free. You no longer need to go to the showroom or worry about lugging your mattress home. In fact, most online mattress sites offer free shipping and returns. Free white glove service often accompanies the home delivery. Thus, no need to worry about unloading and setting-up your purchase. You Can Compare Prices to Analyze Affordability: Online brands offer premium quality mattresses at significantly lower prices than the luxury ones sold in showrooms. This low price is due to the absence of middleman and showroom maintenance expenses. If you're on a budget, you can compare prices to find the cheapest mattress without compromising the sleep quality. Risk-Free Purchase: Most popular online mattresses come with an industry-standard 10-year warranty and a 100-night risk-free trial. Moreover, you receive free returns and exchanges if you wish to return the mattress during the trial period. Finally, let's have a look at the top 15 sites to purchase a great online mattress. I have thoroughly researched each brand. This comprehensive guide is bound to answer some of your questions regarding the famous mattress brands in the US. Established in 2014, Casper was founded by Philip Krim, Neil Parikh, T. Luke Sherwin, Jeff Chapin, and Gabe Flateman. 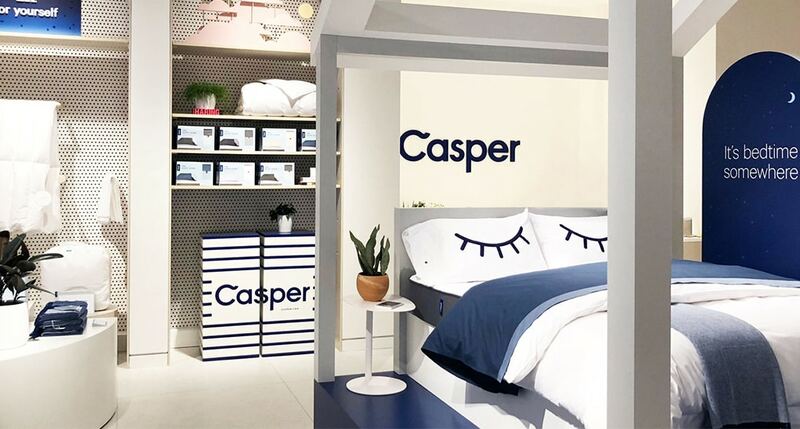 With its headquarters in New York City, Casper offers premium, luxury, high-end mattresses at affordable prices. The brand offers a unique variety of mattresses. Casper is one of the top places to buy a mattress for excellent support, pressure relief, and cost-based value. The company actively participates in social work to bring a change in the world. The brand collaborates with “Charity: Water” to improve the water quality in Cambodia, Vietnam, and Kenya. Founded by two brothers Tony and Terry Pearce in 2015, Purple is based in Alpine, Utah, USA. The Pearce brothers successfully integrated a stretchable material, hyper-elastic polymer, into a grid-like shape in their mattress design. The Purple mattress features an adaptive comfort layer that cushions your body without making you feel hot. The cradling comfort and pressure relief are comparable to memory foam. However, the flexibility is similar to latex with an “on the mattress” feel. Purple is rated among the best websites online if you seek exceptional pressure-relief, incredible comfort, and temperature regulation. Moreover, the company offers financing options with an exclusive 15% discount to those in service. Founded by Ron Rudzin and Ricky Joshi in 2010, Saatva is based out of Westport, Connecticut. 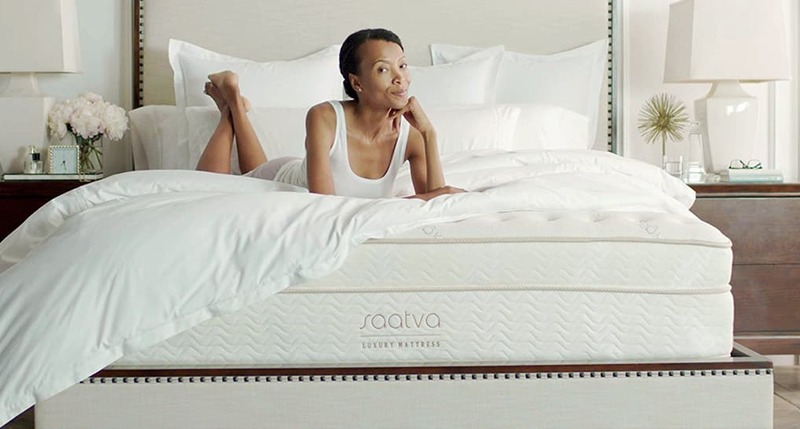 After the huge success of Saatva mattresses, the company launched two more sister products, the eco-friendly Loom and Leaf and high-end brand Zenhaven. Saatva sells online exclusively. The company is rated as the top place to buy a mattress with excellent comfort at a fair price. Saatva supports various local and national organizations with the hope of building a better future. Based out of Minnesota, USA, Sleep Number was founded by Bob Walker and his wife JoAnn Walker in 1987. The mattress uses Responsive Air technology to adjust the firmness, comfort and support level automatically. It senses your movements so that you can enjoy a peaceful sleep. The smart technology further enhances your overall rest quality by keeping track of your sleep metrics. If you desire a sleep surface that is durable, supportive and luxurious, Sleep Number is an excellent choice. 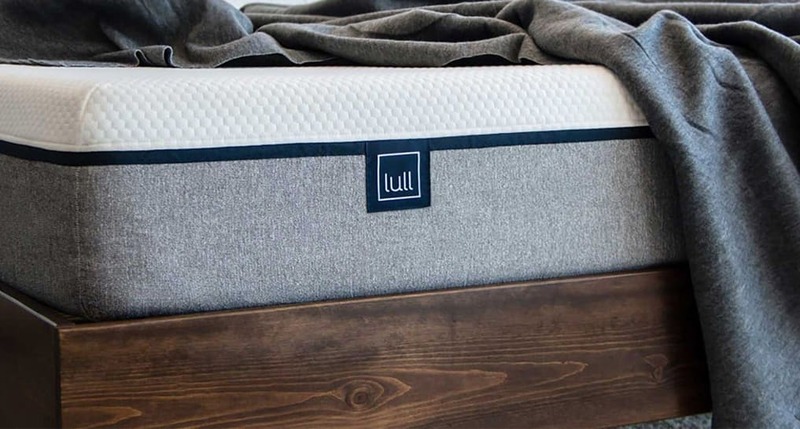 Sven Klein, Matt Walker, Thomas Adams and Brad Inscoe founded Lull to offer a premium mattress at an affordable price. The Lull is among the top-rated mattresses featuring a hassle-free purchase process and excellent customer service. Lull provides a single bed which meets the sleeping preferences of a majority of consumers. Sold online exclusively, the Lull mattress offers a three-layered design. The memory foam cushions your body, providing therapeutic support. The company's mattress is eco-friendly. Based out of Phoenix, Arizona, Tuft & Needle was established by Daehee Park and JT Marino in 2012. 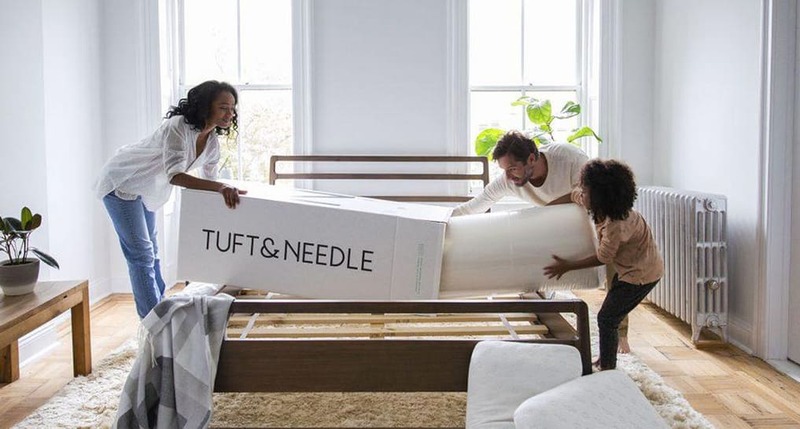 Tuft and Needle features foam mattresses with high cost-based value. Both the mattresses provide comfort, pressure-relief and cool rest. If you are hesitant about online purchasing and are on a strict budget, Tuft & Needle is the best choice for you. This reputable online mattress retailer focuses on customer satisfaction first and foremost. Tuft and Needle is actively involved in community service and supports a School Fundraising Program. Serta has been employing innovative technologies, since its inception in 1931, in order to improve the sleep quality of its customers. 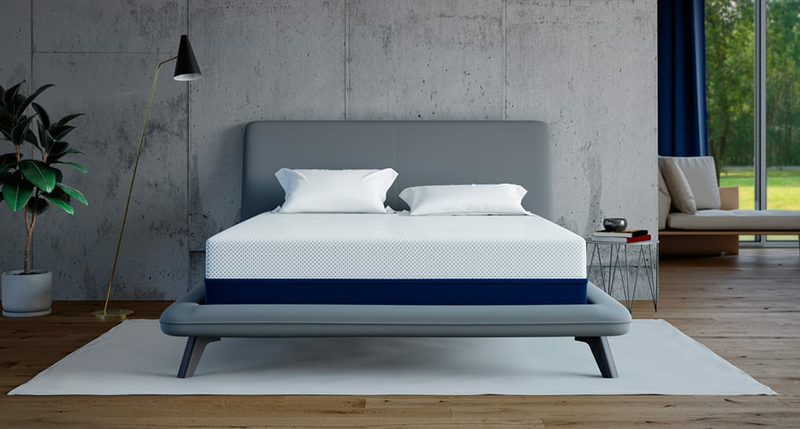 With headquarters in Illinois, USA, the company collaborates with National Sleep Foundation sleep scientists to work on major mattress-related issues. All of the Serta products are durable, highly affordable and offer a rejuvenating sleep. Serta is rated as one of the best places to buy a mattress if you wish to explore a variety of mattresses. Founded by David Wolfe and Jamie Diamondstein, the Leesa is based in Virginia, USA. The company offers two mattress variations. Leesa, is for people who prefer an all-foam mattress, and Sapira is a luxury hybrid mattress. The company strongly believes in giving back to the community. The brand donates one mattress for every ten mattress sales. Leesa engineers are continuously improving and innovating their mattresses to meet sleepers' expectations. Established in 1992 and headquartered in Kentucky, Tempur-Pedic is often considered the industry standard. This brand has set a benchmark for memory foam mattress features and design. It is the best place to buy a mattress if you are not concerned about prices. 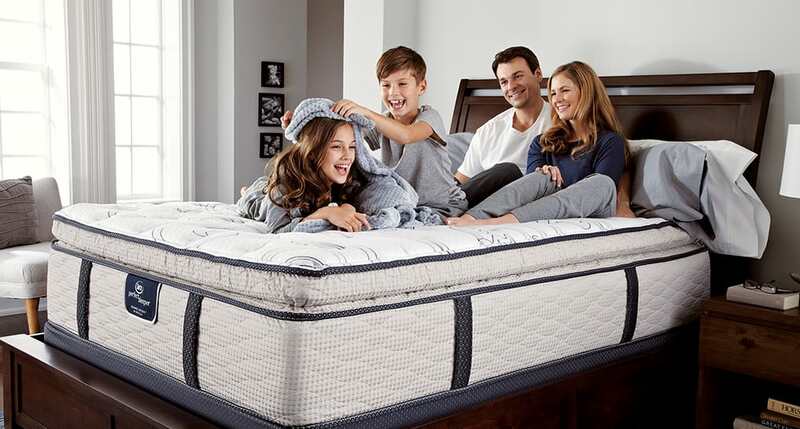 Tempur-Pedic mattresses have around 93% positive mattress reviews, which is strikingly high! The company has three mattress collection ranges, foundations, bed sheets, pillows, and other sleep essentials to suit its customers' diverse sleep preferences. Tempur-Pedic donates its excess products to non-profit organizations through Good360 and the Tempur-Pedic Donation Program. 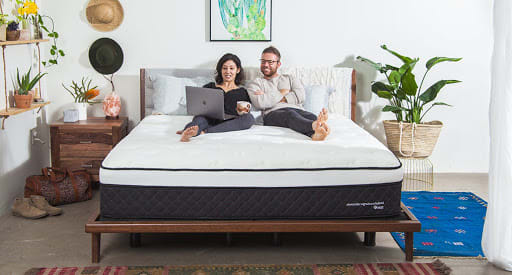 Founded in 2007 with headquarters in Scottsdale, the Amerisleep produces its Bio-Pur open cell memory foam from plant-based materials in the USA. The company offers pressure relieving memory foam mattresses. An additional active, responsive layer prevents the “stuck” feeling. Amerisleep offers only one mattress design; however, you can choose the comfort level you desire. The company reduces its carbon footprint by using sustainable resources and mattress recycling. If you prefer cushion comfort from eco-friendly products, the Amerisleep should be at the top of your list. If you're a natural living enthusiast, Nest Bedding is right for you. Joe Alexander founded Nest Bedding in 2011 in order to provide affordable, organic sleep products to his customers. This San Francisco-based company offers different mattresses, ranging from memory foam to hybrid and latex. The Nest Bedding manufactures its own products and guarantees a lifetime warranty. The brand features handcrafted products such as mattresses, bed sheets, and pillows for kids as well. Founded by Mike Gettis and Rajen Ruparell in 2015, the Endy headquarters are located in Toronto, Canada. This mattress design uniquely accommodates warm and cold seasons. 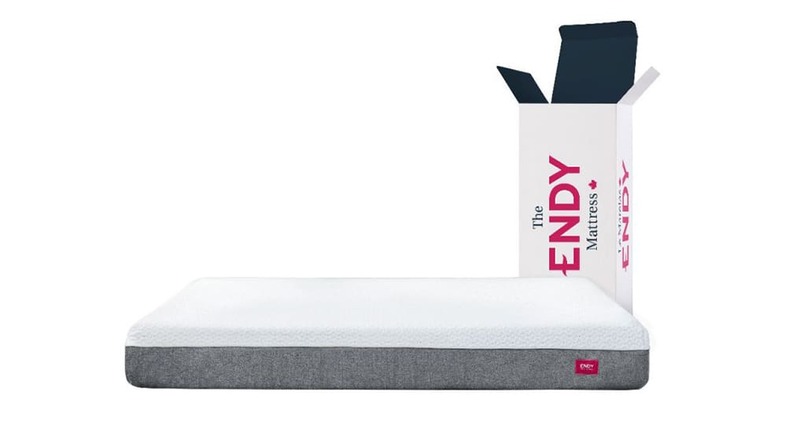 Endy is the best place to buy a mattress online in Canada. The brand manufactures all its products within the country. The company has launched a single mattress design to simplify the mattress selection. Endy collaborates with Furniture Bank, which donates returned mattresses to those in need. Based in Texas, Daniel Haynes founded Sealy corporation and Cocoon, a sister company, in 1881. Both offer memory foam mattresses. The companies provide two comfort levels: soft or firm. Cocoon Chill provides a cool sleeping experience. On the other hand, Cocoon Classic is elegantly designed memory foam for those who prefer to sleep warm. Cocoon by Sealy is an excellent site to buy a mattress online if you are looking for a memory foam surface within an affordable price range. Brooklyn Bedding is the cheapest place to buy a mattress online without compromising on quality. Founded in 1995 by brothers John and Rob Merwin, Brooklyn Bedding owns a state-of-the-art manufacturing facility in Phoenix, Arizona. 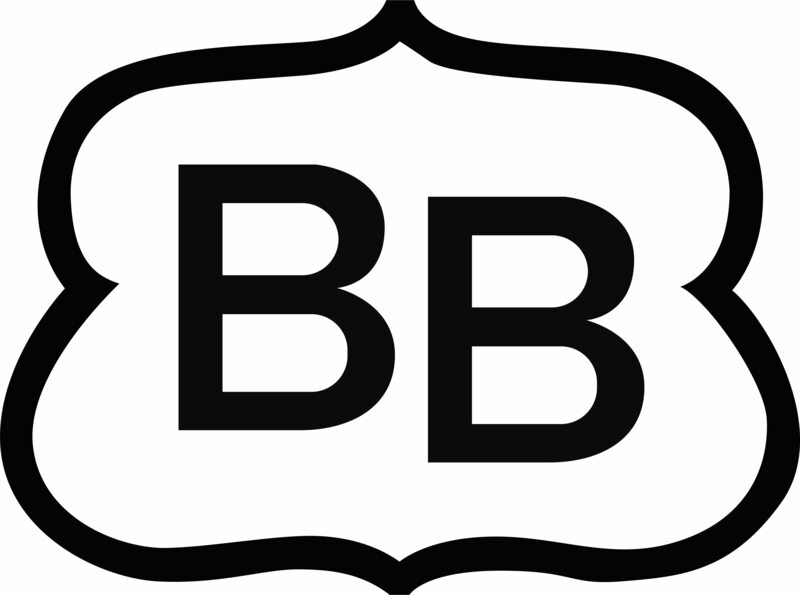 The Brooklyn Bedding mattresses include both foam mattresses and hybrid varieties. This brand also introduced the bed-in-a-box concept to the US mattress industry. Brooklyn Bedding believes in youth empowerment. The company partners with First Down Fund and Arizona's Children Association for this purpose. Beautyrest is the flagship brand of Simmons Bedding Company, one of the pioneers of the US mattress industry. Zalmons G Simmons founded the Simmons Bedding Company in 1870. The brand claims the credit for introducing the pocketed spring technology for mattress support. Since then, Beautyrest is continually innovating and staying up to date with advancements in technology. It is the best site to buy a mattress online if luxury is what your heart desires. I hope that this list of the top 15 places to buy a mattress online will help you get the perfect sleep solution you deserve. Don't forget to share your online mattress shopping experience with us in the comments below. Until then... Sweet dreams!